My School Gate Style Autumn Must Have Number 3 is the trusty ankle boot. 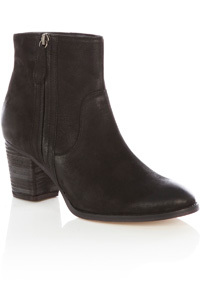 There is no better transitional shoe out there than the ankle boot. As someone who suffers with cold feet, I have to get into boots & socks early in the season - I find by mid-September, pumps are just not cutting the mustard. What's great about ankle boots is that you can wear them all winter long and into spring too so they represent great value per wear. How to wear them? Easiest is with skinny jeans - either with the jeans tucked in or pulled over. They can also be worn under longer bootleg jeans (remember that the heel must be hidden!) with maxi skirts (again boots should be hidden) or with cute short tea dresses and opaque tights. On this blog post from last week, I shared my favourite brown ankle boots so on this post I'm sharing mostly black ones. I'm not a fan of tan/stone ankle boots for mostly practical reasons and also because I feel they shorten the leg a bit more than a dark boot does. 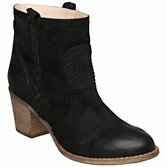 I struggled to find totally flat boots that I liked in the stores this week - these next two are about as flat as I can find. But remember, even a small heel will elongate the legs! Remember, this week and next, I'm looking for photos of your School Gate Style. Take a picture of what you wore & email to schoolgatestyle@yahoo.co.uk for a chance to win some Neal's Yard organic body products. I bought a tan Oasis pair last year, a cross between a Marant and the Ash Jalouse. This year I want the Ash - badly! 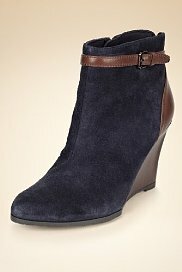 I just bought tan booties now I'm eyeing black! Amazing collection of shoes and nice photo's.i like the fourth one . thanks for posting it. Think a visit to M&S is on the cards. It's difficult to find navy boots, so like the look of them and their black ones are very cool. So much for my self-imposed spending ban!! Gorgeous- love the bling Zara ones!! I agree. 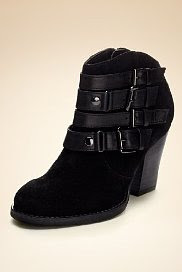 I wore my black Clatrks ankle boots to death last year and they are still good to go for this year. I love those 2nd ones! I absolutely love the Zara ones! 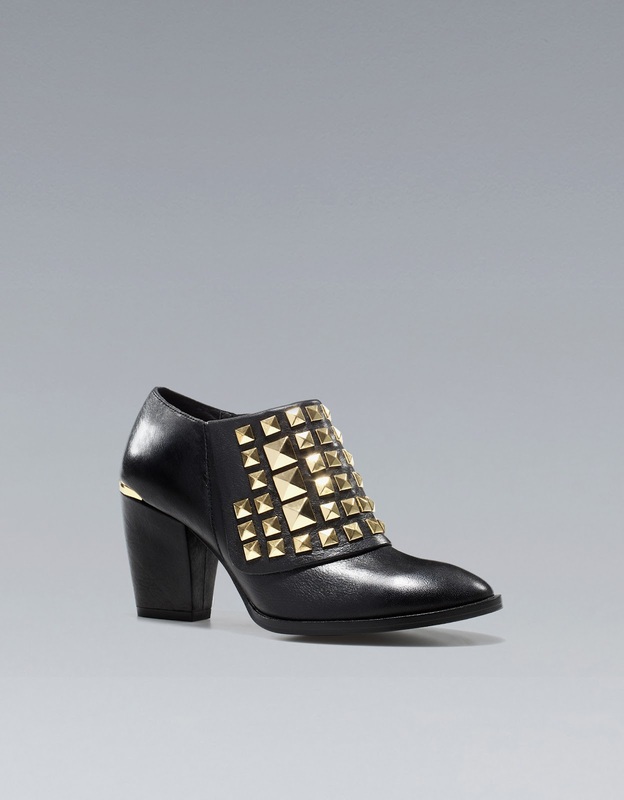 Ankle boots are way up on my must have list for this Autumn. 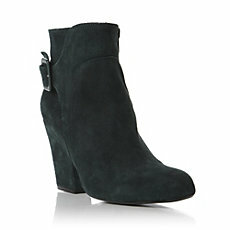 I am loving the green suede! Great post! Love an ankle boot with a dress. Loving those boots - so cute! Yes, yes and yes!!! I am a BIG fan of ankle boots!!!! I just got the ones I am wearing on the blog today! Fab choice, lady!! Love those blingy ones from Zara. I had the most perfect pair of flat ankle boots but they're done. On the lookout for something new and fabulous! 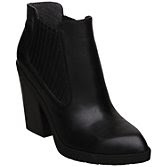 Some leather ankle boots will have a zipper that runs up the side of the boot. Others will have clasps that wrap around the front and top. When you try the boots on, see where the strain from your weight naturally falls.